Bob Stefanowski spent about $10 per vote in his losing campaign for governor, according to the latest campaign-finance filings. The overall efforts of the two major-party candidates for governor spent nearly the same amount per-vote. But Republican Bob Stefanowski’s expenses were matched by a political action committee funded by the Republican Governors Association, according to the latest disclosures to the State Elections Enforcement Commission. Stefanowski’s official campaign spent about $10 per vote in the losing cause, while Gov. Ned Lamont’s victory cost him nearly $23 per ballot, according to the latest campaign-finance filings. But if you include the $7.4 million that a political action committee associated with the RGA spent on anti-Lamont advertising, the per-vote cost nearly balances out. Political watchdogs said Friday that the out-of-state influence in the election takes advantage of a massive loophole left in the controversial U.S. Supreme Court decision of 2010 called Citizens United. And the SEEC, which released the latest campaign filings on Thursday, has proposed eight major pieces of legislation aimed at increasing public disclosure, and even providing additional money for candidates who become targets of PACs. Women candidates for the state House and Senate set a record last year for the number of grants under the Citizens’ Election Program. In 2014, the previous high, 80 women applied for and were given grants. Last year, 127 grants were given out, a 59-percent increase. In all, 335 grants were awarded to candidates. She said that there needs to be a “brighter line” between so-called independent spending and possible coordination between a PAC and a candidate. Lamont, who took office on Wednesday, doled out $15.8 million for his 694,000 votes, averaging the spending at $22.77 per vote. Stefanowski, a Madison business consultant, raised $6.5 million, including a $2.8 million loan he gave his campaign, for the 650,000 ballots he received in November. Change PAC, the RGA’s independent-expenditure organization, invested $7.4 million, which mostly paid for TV attack ads against Lamont. So while Stefanowski’s main campaign paid about $10 per vote, adding the Change PAC’s expenses brings the total to nearly $14 million, for a per-ballot cost of $21.74. While he front-loaded his campaign with TV ads dating back to January 2018, months before the GOP state convention, which he did not attend, after winning the August primary, Stefanowski spent much of his time fundraising and little time on the daily campaign trail. 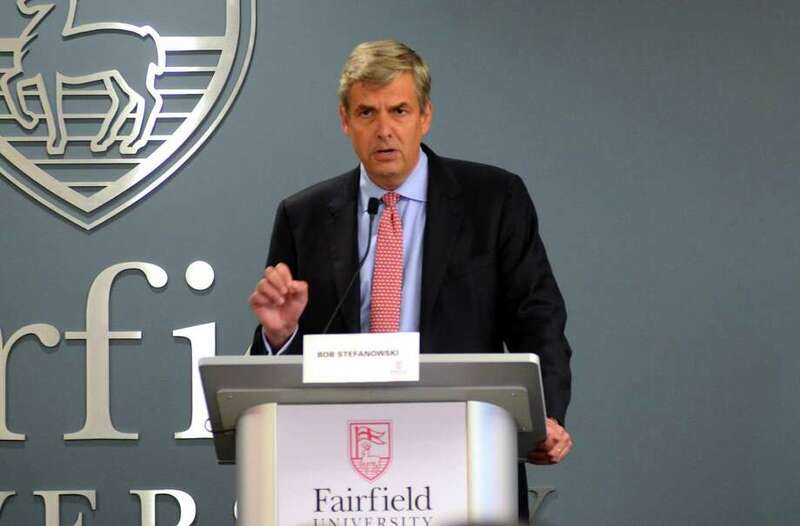 “The fact that Stefanowski outsourced so much of his fundraising to the PAC not susceptible to Connecticut rules and regulations is arguably the most concerning part about these numbers,” said Connecticut Citizen Action Group Executive Director Tom Swan, who in 2006 was Lamont’s campaign manager in a successful primary challenge against then-U.S. Sen. Joe Lieberman. Lamont, a Greenwich investor, largely self-funded in his campaign, raising only about $800,000 from individual contributors. Quickmire said that while millionaires ran for the governor’s spot, the state’s 10-year-old public-financing system for the General Assembly proved that candidates did not have to be wealthy. “If you look down-ticket, more than 85 percent of people running for office used the program,” Quickmire said of the 10-year-old Citizens’ Election Program. The SEEC recently reported that while the 2018 elections showed a 3.2 percent increase in women serving in state legislatures around the nation, Connecticut saw a jump of nearly 6 percent. Women now make up 33.2 percent of Connecticut legislators, up from 27.3 percent. Brandi, in a phone interview on Friday, said the agency would also like to revisit a law approved last year that limits SEEC investigations to one year. He wants to amend the law to allow more time to evaluate, investigate and resolve cases.